Invitation to the opening event of the first "FESTIVAL OF VIENNA Venezuelan culture 2013". 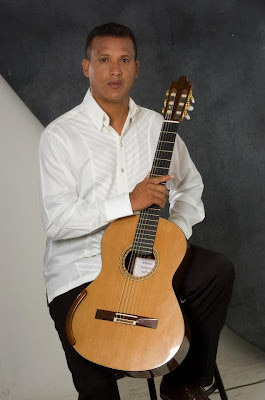 The opening will feature a concert of guitar by the master classical guitarist: PABLO GAMEZ, "VENEZUELA"
In his native Venezuela, Pablo Gámez is known as Festival Organizer, and on the Board, of the Association "Unidos por la Guitarra". His guitars are self-made and he is a virtuoso of the classical guitar Latin American literature. He was invited to Europe to perform at the International Guitar Festival Rust in Burgenland, Austria. As an appetizer, he will play a solo concert at the library Penzing (co-sponsored by the UNESCO Club Vienna).